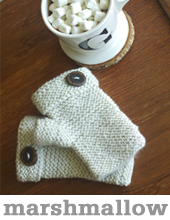 The count-down says there isn’t much time left to knit up a hand knit gift for a loved one….but we disagree! 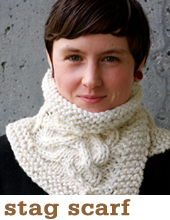 I whipped up a False Creek Cowl in just 2.5 hours and I bet I can beat that record. 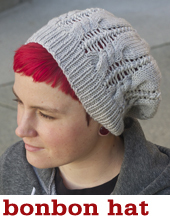 False Creek is knit up in a bulky yarn (we used Malabrigo Rasta, something we have both developed a certain weakness for) on big 10mm needles. When I saw this yarn (the colour is Ravelry Red) on the shelves last year around this time I just knew I had to have it. 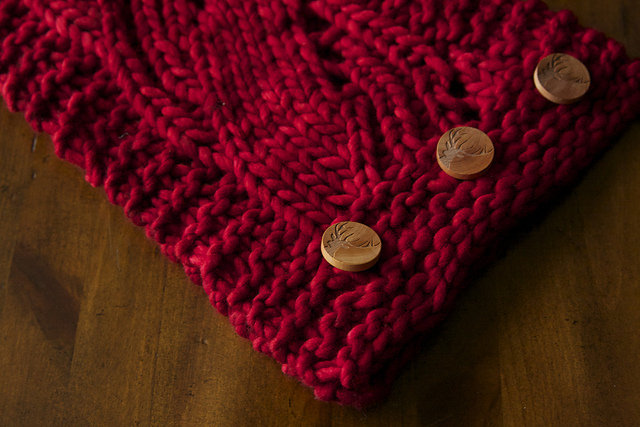 I rolled it up and thought about it for about 12 months and FINALLY turned it into a False Creek cowl. 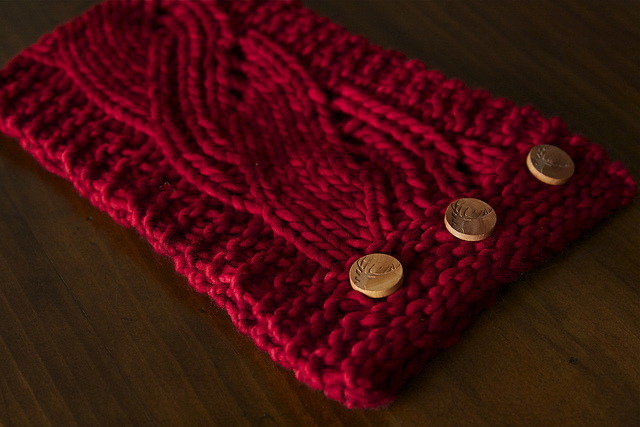 The pattern is interesting, but not too tricky, and this cowl offers me a great opportunity: picking fun buttons! I have had these 3 stag buttons in my stash for a while as well and when I put the 2 together it was holiday magic! ← Fancy Balls ::: a free ornament pattern! I have to ask though, where did you get those buttons?! They are awesome and I must say that even the guys in my life would notice those. I bought those buttons on Etsy (impulse purchase) and I went to see who the seller was but alas, it looks like they are no more. If you are a Vancouver local I highly recommend Button Button, that’s where I usually get my buttons. Those buttons ROCK! 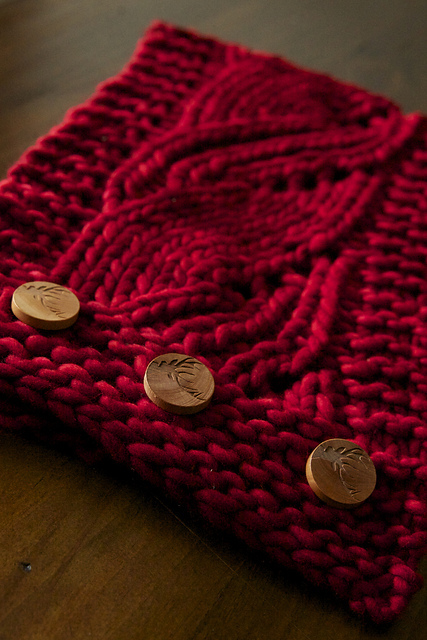 And Ravelry Red always wins. Love this!